Downtown Donuts is a popular donut shop located in the historic Spring Arcade building in Los Angeles, CA. With the motto of serving fresh, generous sized donuts to the people of LA, Downtown Donuts strives to provide the best quality food with the most impeccable customer service. 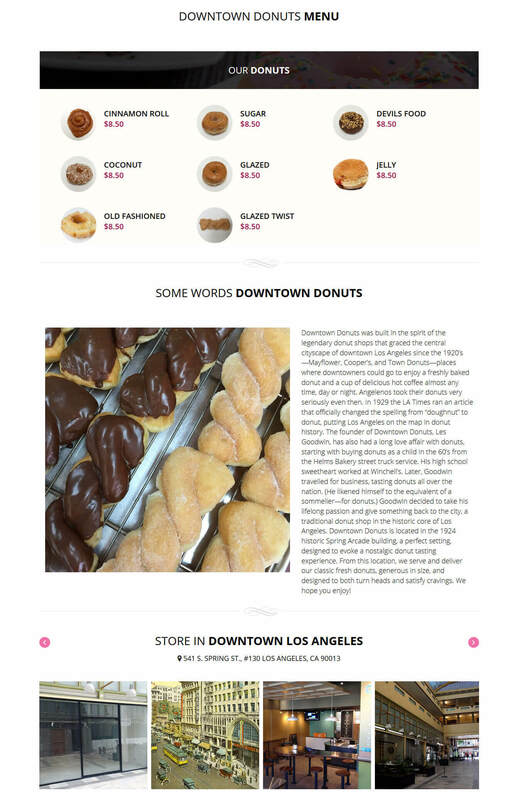 Downtown Donuts recently opened their downtown shop and needed to take strategic advantage of the benefits of having a personalized website in the biggest marketplace today – the Internet. 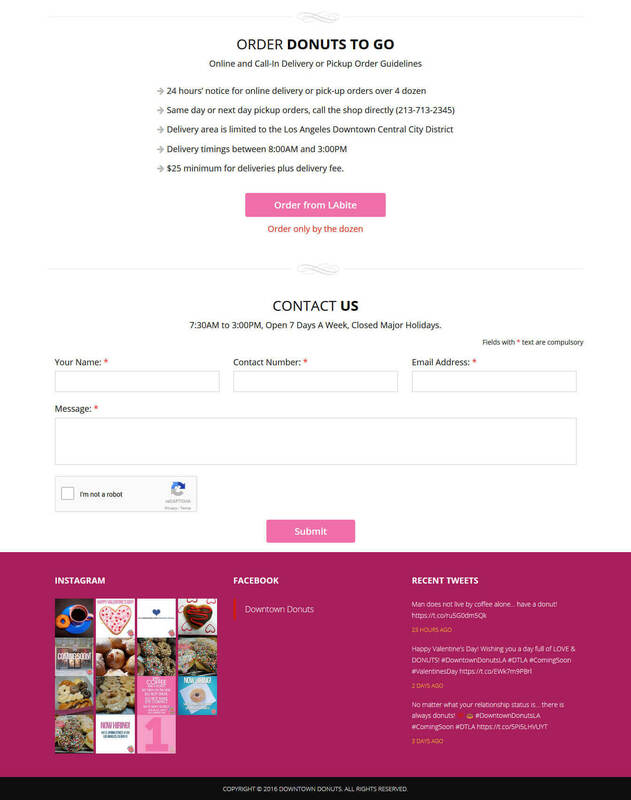 The client also wanted a platform to attract new customers, boost online sales, and provide new ideas to drive traffic. Working closely with the client, we analyzed the client’s requirement and future plans. Utilizing the experience gained from the earlier web design projects, Pulse team proposed to design a feature-rich WordPress theme to power the client’s website. We designed an attractive, modern, and a user-friendly website, keeping the client’s targeted audience in mind. As a result of streamlined approach and seamless execution, we developed the new website within a very short span of time, while meeting the best quality standards. We build an attractive layout to build a strong connection with the targeted audience while providing a fresh perspective to feature their products. To help customers find what they are looking for, we designed a clear-cut, logical navigation. It also made it simpler for customers to easily view the Menu and order donuts. Created a responsive website to take advantage of increasing mobile traffic while providing a delightful experience to mobile users. The modern and sleek design resulted in increased user visits and encouraged them to explore more. Build an integrated feature to connect with LAbite – a food delivery portal, helping customers to order quickly and efficiently. Developed an efficient system to help place an online order which customers can fax to the store. Designed a feature-rich interface with modern design elements and images . Integrated social media to help sync various social channels and build a loyal customer base. 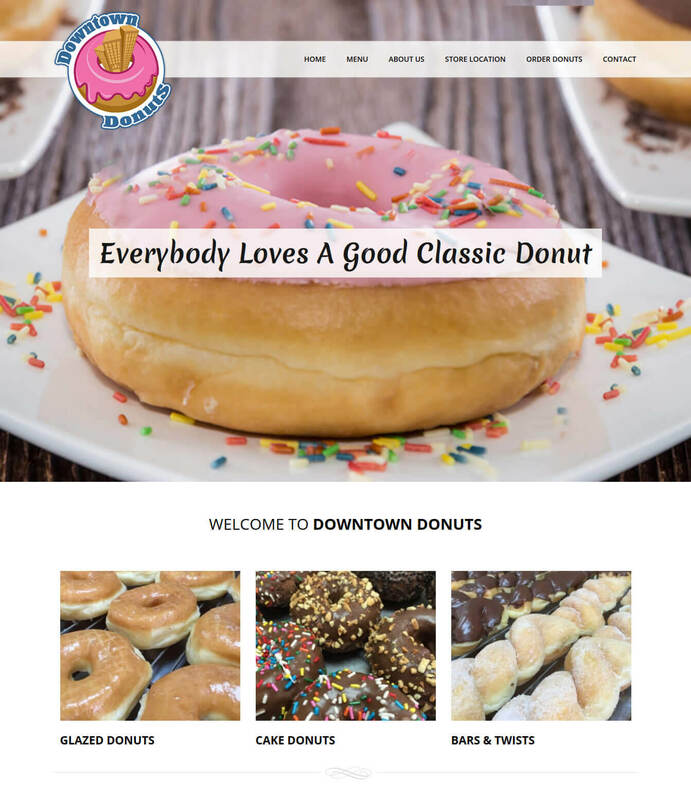 Launching a responsive website has allowed Downtown Donuts to serve a top-notch user experience, which translated into increased customer base, visits, engagement, and revenue. It has provided a perfect platform to offer their products to thousands of potential customers in LA. Stay ahead in the competition and gain traction in the market with the newly launched website. Increased mobile traffic through a responsive website that supports all internet-based devices. Optimized user’s experience to any scale of customers through effective load handling. Increased online sales with a slew of savvy features. Want your website to deliver personalized customer experiences and boost online sales? Let’s talk about how to do it together!